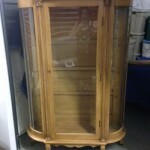 Today we feature the response from the estate sale listing website, EstateSales.org. Thanks for reaching out. Happy to answer your question about our process. We typically require an initial report with a link or attachment from the courts, showing that there has been a ruling against the company for breach of contract, fraud, or similar misconduct related to their estate sale business. We also file all complaints against companies listed with us in a database, including the complaint, what company it was against, the date of the complaint and the contact info of the person reporting. If we notice a pattern of misconduct, we may remove the company without a legal judgement, however, this would only be in extreme circumstances. I will also say that there have been cases of “he said she said” which is what we do not want to get into as we are a software company first and foremost. We do not want to become a policing agency of estate sale companies, but we realize the need to balance this with consumer protection. Today we are publishing the response which we received from EstateSales.Net. I’ve Not Been Paid. What Happens Now? If you hired a company to conduct a liquidation sale for you and you have not been paid, please read through this page. 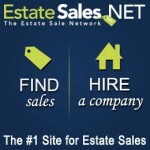 It will answer questions on how we (EstateSales.NET) deal with people and companies in this situation. You can certainly call us as well (888-653-8468), but we will definitely need an e-mail with the above information to get started. We may follow up with additional questions before contacting the company, but the above information is usually what we need to get started. We do not want companies on our site that do not pay their clients. We will remove companies that do this. We do have to follow certain procedures when in this situation though. We reserve the right to alter the timelines detailed below, but these are the general guidelines that we follow. A company will have 60 days after the sale to make things right with their client before we issue a “Notice of Pending Removal from EstateSales.NET.” That does not mean we won’t be involved prior to that 60 days. 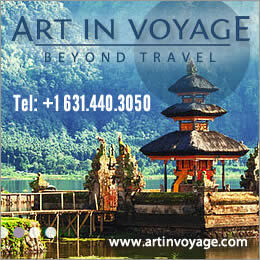 We will do our best to get communication going between the company and the client. Once we determine that a company has not paid a client and the sale is 60 or more days in the past, they will have 10 days to correct the situation. If they do not resolve the situation within 10 days, they will be removed from the site along with ALL sales currently scheduled. A company can resolve the situation by sending us a cancelled check or some other proof of payment. The one exception to the 60 day “rule” is a judgement. If a client has received a judgement against a company, we will issue a “Notice of Pending Removal from EstateSales.NET” and the company will have 10 days from that notice to either pay their client or come to an agreement with the client (payment plan, etc). 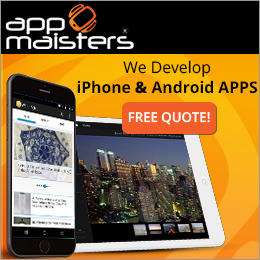 It is not in our best interest to have companies on our site that don’t pay their clients. There are thousands of sales listed on our site each month. This is definitely not a common occurrence, but it is one that has to be addressed from time-to-time. 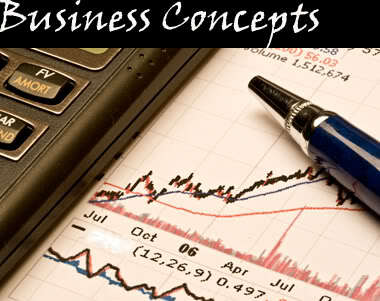 Our goal is to make sure the companies listed on our site are doing their job and paying their clients. If you feel that we can do a better job in some way, PLEASE let us know. Our community of companies, shoppers, and clients are top-notch. Please help us keep it that way! The majority of 14,000 plus estate sale companies are honest, hardworking people that deserve kudos for the work they do, however, every once in a while as in all businesses an estate liquidation company will not operate the way they are expected to. 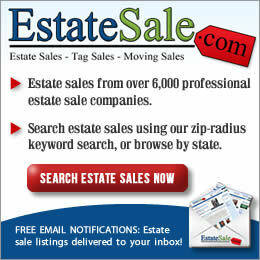 Estate Sales News is contacting all the estate sale listing websites, and the websites that offer to teach you to become an estate liquidator to find out what they can and cannot do with companies that inappropriately handle estates. It should be clearly stated that we are not talking about sellers not achieving the financial results they had hoped for or frivolous complaints. As in most of life there are no guarantees, however, we are addressing serious issues of unethical behavior, failure to pay sellers or failure to account. Over the course of the next two weeks we will be writing about what each of these listing websites can or cannot do as well as the teaching associations and societies. Sellers should be aware of what to expect, what can be done, how to do it, and who to turn to. This set of articles will be fair and unbiased. 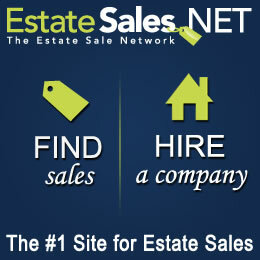 Estate Sales News is here to inform, enlighten and empower you as news media and information sources do. We encourage you to reach out if you have a serious unethical problem or believe something illegal has been committed, but remember we are discussing serious issues not disappointments. Look for our articles starting after Labor Day. 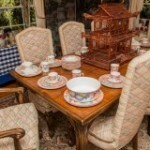 Sellers now that you have chosen your estate sale company with due diligence and care what happens next? As we approach Labor Day Weekend next week let’s review what an estate sale company will be doing to get your sale event ready, somewhat abbreviated. 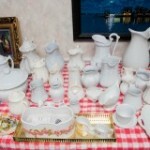 An estate liquidator may take a few “staged” photos of unique, rare, or unusual items in the sale for immediate advertising. They will probably do a walk thru to determine how many tables will be needed, any additional lighting, if extension cords will be required, where to set-up the check out counter, whether they will utilize one entrance and exit only or one of each, and check out any special requirement (port a john) etc. that may be needed depending on the size of your sale. They will also arrange when they plan to start preparing the sale and ask you for a key or code for access to the property. This is also the time they will decide on security measures including hiring off duty policemen if required. Every liquidator works different hours. Some start very early and finish each day in mid to late afternoon and some start later in the morning and work well into the evening. They also have to decide what special jobs may need doing (polishing, cleaning, etc.) 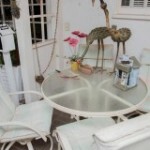 and if there are additional charges that should be included in your estate sale contract. Some estate sale companies have factored that into their commission, others charge an additional fee depending on the amount of work to be done to prepare the items for sale. 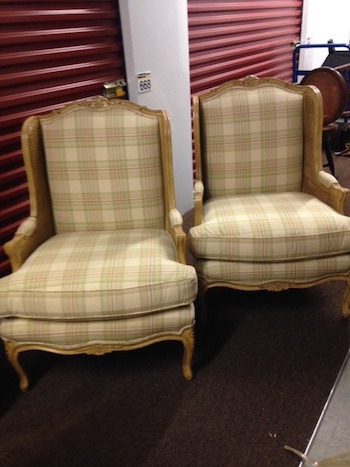 Once they start working at the sale most estate liquidators will assign staff to different rooms (some may not) and the sorting of items begins. 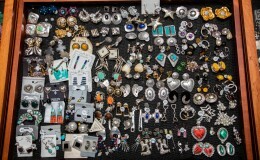 Discovery of what may be of significant value will take place as well, and these items will be set aside for showcases or other secure locations. After the sorting, cleaning, polishing, etc, comes the room by room staging of the personal property. Next the liquidator will begin the pricing process, and if needed researching the value of items that may be of high value or unknown origins or provenance. All of this can take anywhere from 3 days for a very small sale up to a month for a large sale. 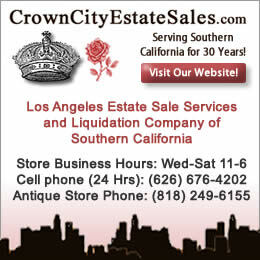 Hours and hours are spent not only working on the estate sale on site, but on the advertising of the sale which is usually done in the evening or early morning at the home of the liquidator. 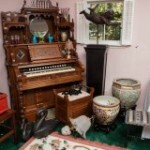 It is not unusual today to see 500 or more photos on an estate sale listing website along with a detailed list of most items in the sale. Many companies use more than one site so double the work and then there is the social media work to be done, i.e. Facebook, Twitter, Instagram, Pinterest, Google+, and YouTube to name the major social media sites. Usually the morning before the sale the estate sale company will post signs inside and on the exterior of the door to let buyers understand how they will be handling the sale including entrance (crowd control), sales (cash, cheques, or charge cards) and the rules of etiquette including if they will be considering discounting after day one of the sale or accepting written interest in items that have not sold on day one. The morning of the sale signs (depending on the community) will be placed in appropriate or approved locations directing buyers to the sale. All of this work leads up to the opening of the door on day one of the sale. Announcements may be made prior to permitting entrance perchance there are any last minute changes or additions to the sale. The door opens and those words “welcome to our estate sale”. Day one begins. 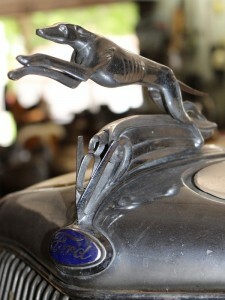 From Sweet & Harding this weekend in Newfane, New York starting August 14, for three days a unique estate sale with trains, plane & automobiles and that’s just the beginning. Here is a video done by Ian Harding for this most unusual sale. So many antiques, tools, a partially assembled 1941 Piper Cub airplane. We have put a few still photos below. This estate sale is very large with tools, motors, etc. abound along with the interior home contents. This video tour runs about 10 minutes and is well worth viewing before attending this truly unique estate sale. A great guide to help you see what’s there and where. Click here for a link to this wonderfully unique sale. 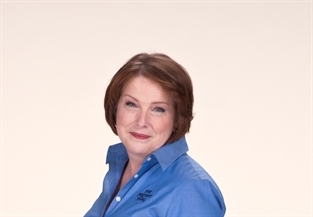 Our guest author Judy Martin, ISA, CAPP, offers good advice for small business and estate sale company owners. Judy is the owner along with her daughter Kate of M & M Sales/The Perfect Thing. Take care of ourselves physically, spiritually, and intellectually. We each need to take time for our physical well-being. Exercising and I don’t mean moving furniture around, setting up tables, getting on ladders to dig out the attic. I mean focused body movements, whether it is walking, yoga, or cardio – whatever works for you, do it for yourself. It makes you feel better as well helping you to stay strong. Everyone has their own spiritual process. Maybe a small or big prayer each day, a meditation process, volunteering for a charity of some kind, helping with rescue animals, whatever it might be. Sometimes we need a little more for own wellbeing. But we each need some type of process to help us keep strong emotionally when the public gets a little too much in our faces. As we all know, we drive a lot – so one of the ways I have begun to work on my own spiritual self is while I am driving. I don’t turn the radio or music on any more. I don’t take calls if they are not important while driving (using a bluetooth). And I calm myself for my days work by reciting a poem, a prayer, listing people I love in my head and being blessedly quiet. One of the best parts of this job is the knowledge we gain and the knowledge we share. Everyday, and I mean everyday that I am working, I learn something. And most days, I teach someone something. It is the part of the profession that keeps my brain excited and happy. So easy to do, so simple to achieve. I am trying to handle a lot of issues these days, both business and personal. But I do think I am finding my way though the maze. I took time this summer to spend with some of my family at the beach. It was one of the best things I have done for myself in a long time. I came back refreshed and ready to get on with my work. But more importantly, I came back with the knowledge that I am in charge of my life; in charge of how I react to the things that happen; and in charge of the work I want to do. And knowing this allows me to take better care of my clients and better care of myself. 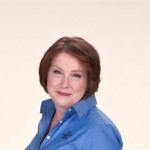 Good advice from Judy for all small business owners. Baby Boomers continue to age and retire, and unfortunately there are some with debilitating diseases such as dementia, Alzheimer’s disease, and memory loss. As family and loved ones work to assist them it often becomes necessary to hire an estate sale company or liquidator to help them downsize to enter a care facility or even move into a relatives home. It is common for the family or a relative to sit down with their loved one to discuss what must be done to make their life simpler and easier for them. The family may have an estate liquidator sit in on the first discussion allowing the liquidator to meet and interact with the prospective owner and family. However, because of the nature of the health issues they are facing, the person may not recall these conversations and the various discussions of what they will need to sell or who will take charge of the final distribution and including the clean out of the property when the sale is concluded. Important for all parties, especially the family or relatives and the estate sale company is to have a contract that covers all aspects of the sale including final disposition of any remaining articles and the pay out of the net proceeds and who will receive these funds. The contract should be signed and initialed by all parties involved. If there aren’t any younger family members involved you may want to have an attorney present or signing off for the protection of the family member and the estate sale company. 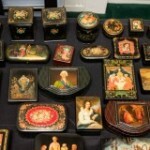 If so this should help avoid future issues of the selling of personal property contents. The need for an attorney is not always necessary, but this is another benefit of meeting with the future prospective client. *Please note Estate Sales News and the editor is not an attorney and we do not provide legal advice. Please seek out an attorney for legal counsel. The information presented here are recommendations only. Be sure to have at least one or more family members or friends present at each discussion and contract signing. They should be the responsible party for their relative and their signature and initials should be present on each page of any documents signed. Copies of contracts should be kept be each party involved. Any items that are not to be included in the sale should be clearly written on an addendum, that is initialed and signed by all parties. The family or responsible party for the ill individual should be the contact person and this should permit the estate liquidator to conduct the estate sale agreed to by the parties in the contract. Caring and providing emotional security is in the hands of family and friends, however, estate liquidators are compassionate and do their very best to work with responsible parties within the confines of the signed contract. 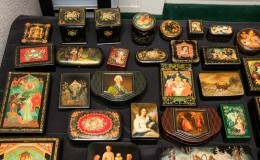 Baby Boomers are retiring and downsizing and that has encouraged and helped to enlarge the number of estate sale companies. Most boomers came from depression era families that had very little. There is a small majority of boomers whose parents were affluent and acquired an abundance of items. Today’s current generation – the millenials who are individuals born between the early 1980s and early 2000 grew up in the homes of many baby boomers. They are now in the process of making their lives more simplistic – less is more! Josh Sanburn of Time wrote an article March 12, 2015 entitled Minimalist Living: When A Lot Less Is More. It addresses some of the reasons to declutter. Click here for a link to his article. 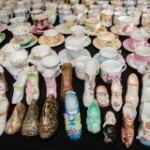 As Baby Boomers, many of us have a vast array of collections, some good, some not so good. Our parents kept and collected what they could as so many went without during the great depression in the late 1920s and into the mid 1930s. Millenials are also following furnishing trends from magazines to television shows. Shows such as Love or List It, Property Brothers, and others not only renovate properties, but also provide “new” furnishings to most properties eliminating the idea or need of second hand or used furnishings. They project a slim line, well coordinated look. 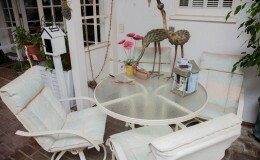 Table tops are free of everything including family photos, and anything that might be construed as clutter. 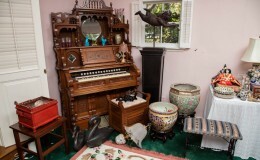 Generally speaking Victorian and Edwardian furnishings and antiques (except the very rare or odd) have lost value because they have lost their market in many places across the country. A marble top Eastlake piece that might have sold for $800-$1000 5-10 years ago may only bring $300-$400 if that in most major metropolitan markets. What is referred to as brown furniture that was made in the 1920s, 1930s, and 1940s is now seen as simply “brown”. 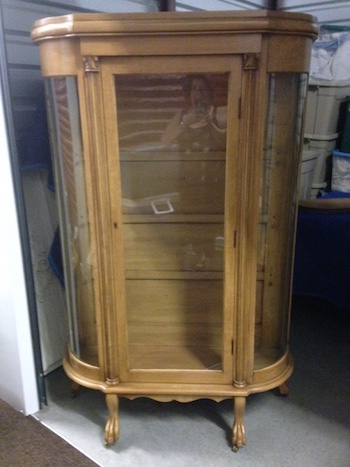 Finding dealers that repurpose older pieces (whatever they may be) is helpful, but the prices will not be what they once were. Looking at sales on eBay and other online sites provide good examples of what is taking place in the current market place. Mid Century Modern has replaced most of the above furnishings and greatly affected prices. When you meet with an estate sale company and they give you their professional informed opinion about value, it isn’t personal. It’s about the world changing and the generation that is buying today. 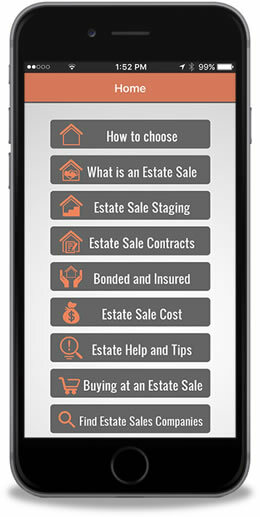 Speak with estate liquidators about what is selling in your area. 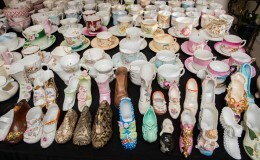 Estate sale companies want to get you the highest possible price for your items to satisfy you and achieve financial success for both of you. Don’t take it personally. 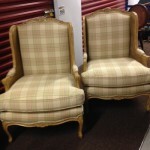 Here are a few pieces that have become more difficult to sell. You’re not alone. Let the professional estate sale company do their job. They are your local market specialists. 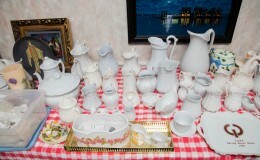 Staging an estate sale or setting up can dramatically affect the results of the sale once buyers enter the property. 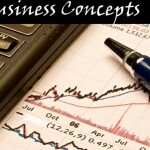 Of course excellent marketing, pricing, and sale management is also important. 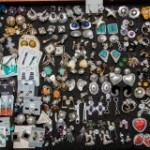 This past weekend in Arcadia, CA, Howe Estate Sales (owned by Parker Howe) held a two day sale that successfully liquidated the contents of a 5,000 square foot estate. 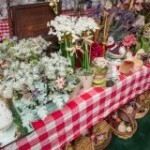 To view the sale visit Howe Estate Sales by clicking here. 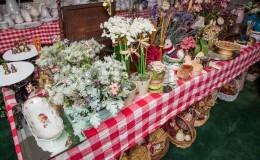 Staging an estate that was packed with many collections and items and required over 30 plus tables for display helped to enable buyers to see and choose their purchases easily and quickly. 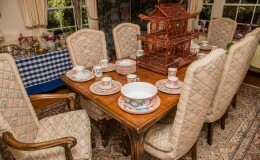 We present some of the photos of this very well staged sale. So many of the estate liquidators across the country stage well and we hope when you are choosing a liquidator you take this into consideration. The difficulty does come in when you have a hoarder house, but although it may not look like this it still can be managed.